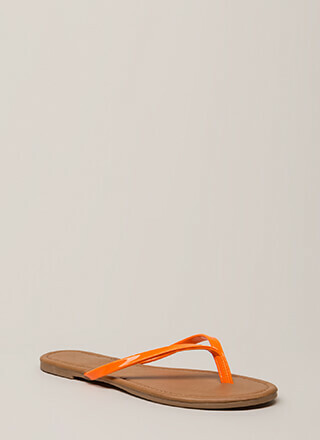 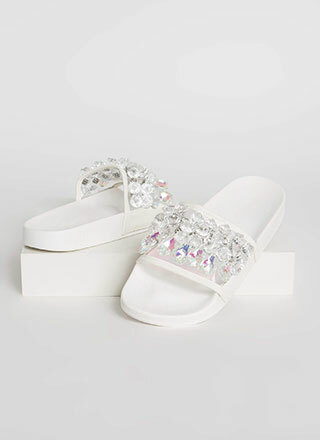 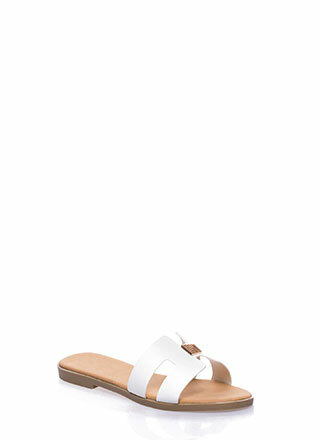 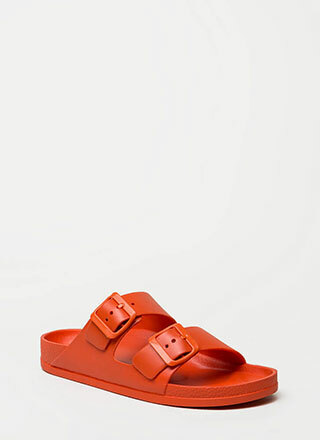 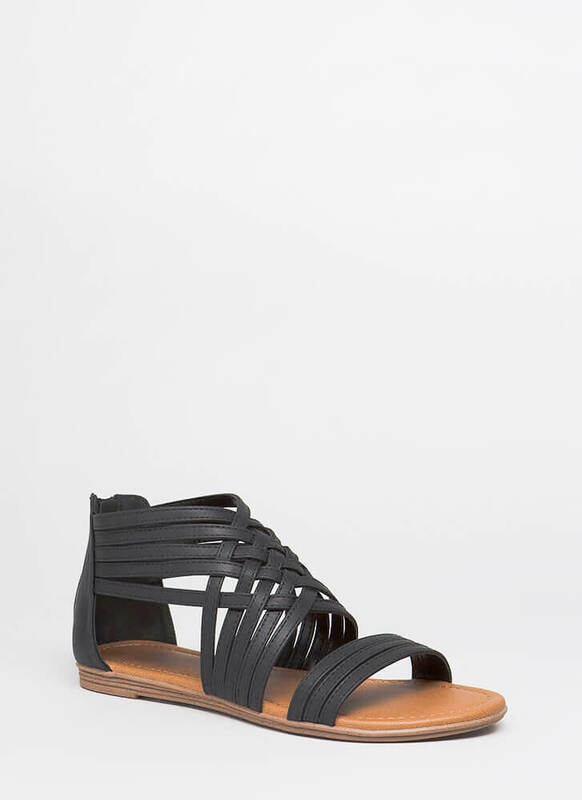 One look at these sandals and you won't be able to pass 'em up. 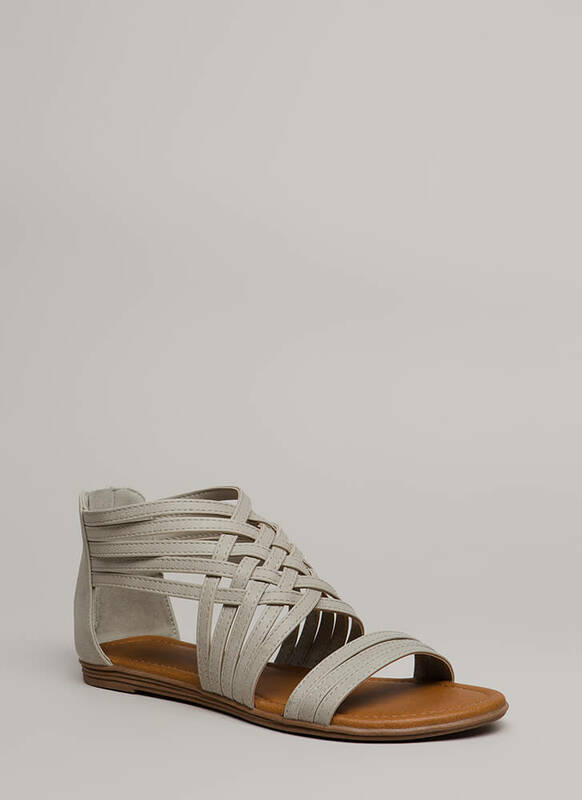 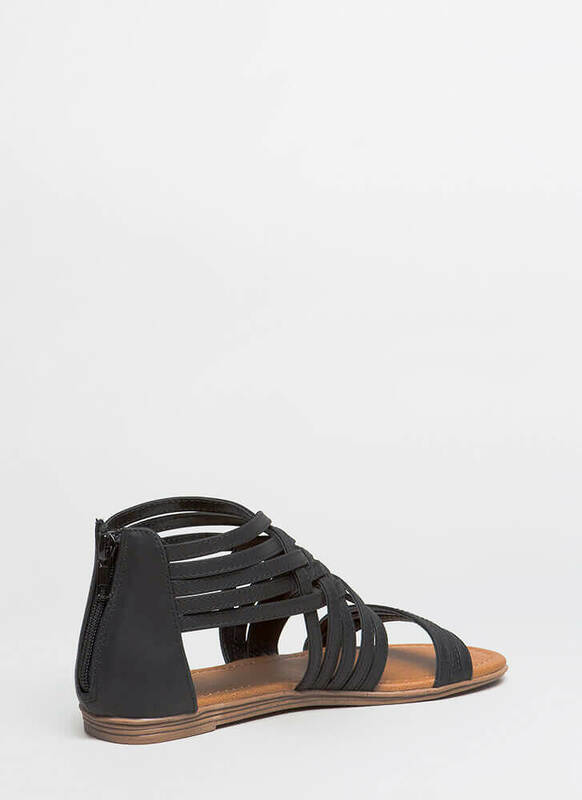 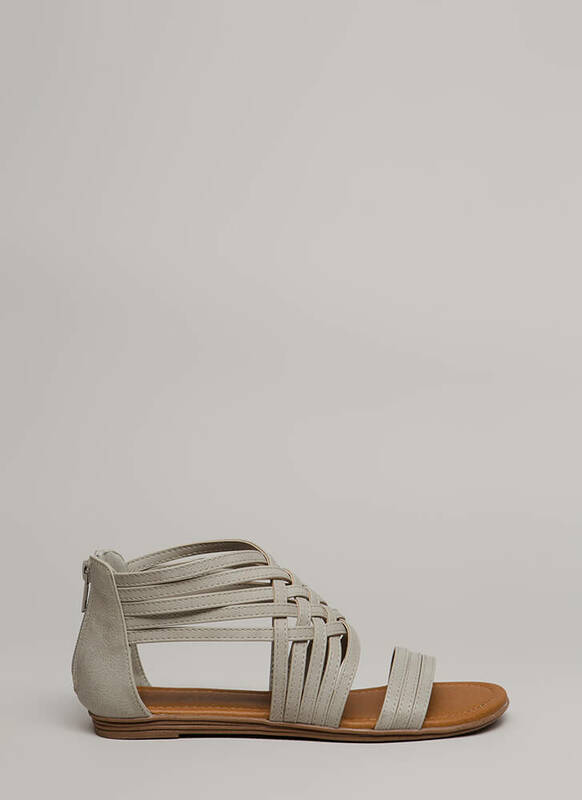 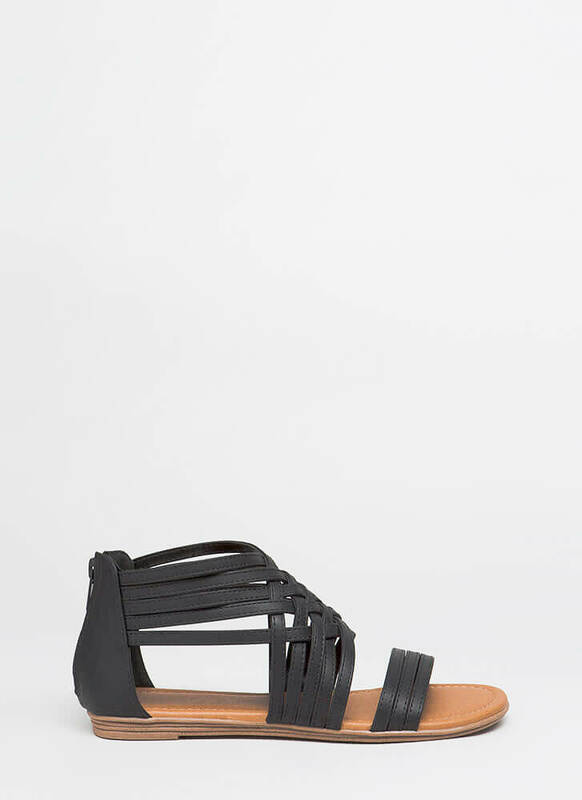 Open-toe vegan leather sandals feature triple toe straps and a woven panel of skinny straps that create an intricate, cut-out caged look. 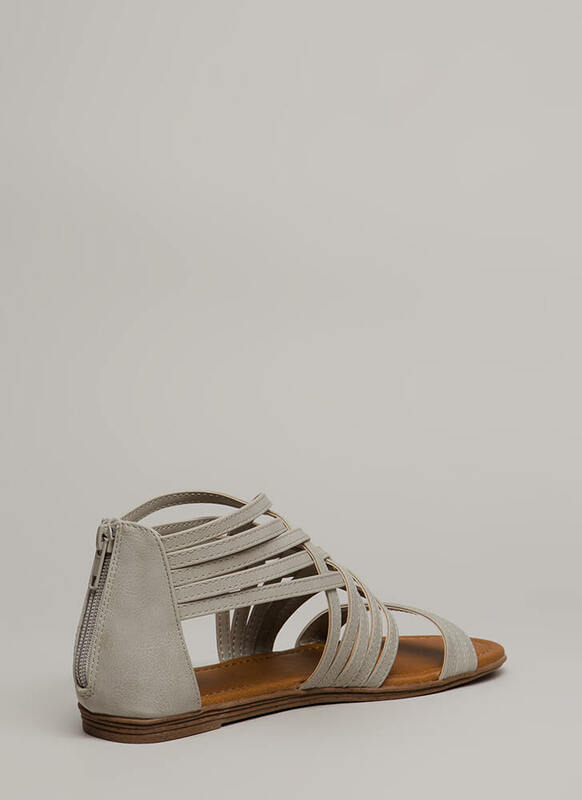 Shoes are finished with a ridged sole and a rear zipper for easy on and off.